Floating reinforced polymer swimming pool chemicals dispenser. Twist lock cap and adjustable ring. 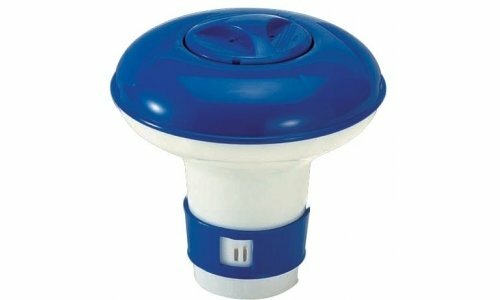 This Spa & Hot Tub Floating Tablet chemical dispenser is designed for use with tabularised swimming pool chemicals,Spa & Hot Tub chemicals in particular it is designed to be used as a dispenser for slow dissolving chlorine tablets or bromine tablets. *Product design may differ slightly from picture shown.